This program was built for installing software from CD Images using Virtual Drive software. The intended usage is to be able to store CD Images on a DVD and have a convenient way to access them. 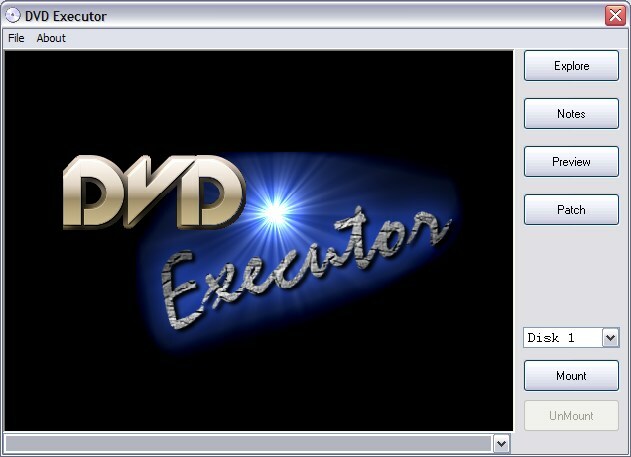 DVD Executor is meant to be simple to use and simple to administer as I wanted something with the least amount of mucking about as possible. It features support for title graphics, screen shots, video playback using any installed codec, an internal Notes viewer, and a user folder to store additional files for each program. Added MDX to default image support for Daemon Tools. Fixed Daemon Tools Support for v4.35.x. Added SlySoft's Virtual CloneDrive support. Added ability to disable the no Virtual Drive Software warning message through the INSTALL.INI. 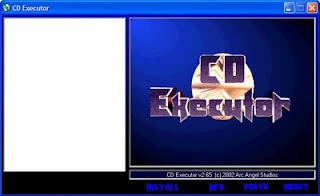 Removed Install any .EXE file, now DVD Executor will only Install AUTORUN.EXE, INSTALL.EXE or SETUP.EXE. Fixed Launching Bug with fast Multicore Processors. Tweaked Emulator code for better compatibility and performance. Added timeout for mounting images. 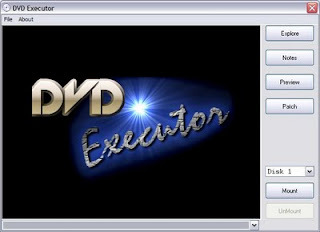 Fixed Hang on exit if you tried to close DVD Executor while mounting. Added support to allow any Virtual Drive program to be installed at startup if none are found instead of just Daemon Tools. Fixed Root Install Image resize issue. Multiple screen shots of the programs to be installed. A built in VIVO player for trailers/video of the programs. Internal unpacker for ACE and RAR archives. UnZIP support for installation updates and Archive browsing. Adds multiple .REG files into the registry. Creates Program Groups and Shortcuts (with directory variables). Copies, launches and optionally Waits and Deletes files after extraction. Built in File Browser with Descriptions. INITool - Configuration program with context sensitive help. CD Executor is designed to be modular. In that you could take programs from several different disks and burn a new CD with almost no modification. My goal with this program was to make it as quick and easy as possible to create 'compilation' CDs from new and previously configured sources. Pentium based machine or greater. Windows 95 OSR2 or later, 2K/XP Compliant - Previous versions require an OLE update. CheatNWhore is a simple cheat database that can hold your cheat info and import files for later extraction. It contains no cheats on download as it is meant for you to fill as required. This program uses the MSJet DAO350 Libraries to function properly. DuckDNS is a simple execute and terminate IP updater for the DuckDNS service. It is written in AutoIt and the source code is included in the download. This small app is designed to permanently install your ReShade Mediator Framework profiles into the appropriate game folders. Mediator does a great job of making profiles compartmentalized but I don't want to have to select a profile before every game. This program copies the relevant files for you and can remove them later.